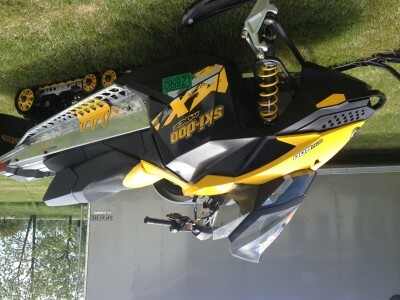 I have a 2010 Skidoo MXZ Rex XP Sport 600 Carb, 96 Skidoo Studs, Electric Start, Push Button Reverse, New Battery, Dual cardbides, Yellow Tunnel Supports, Electric Sheild Plug in, , Knee Pads, Hyfax replaced in 2013, and I have three belts that come with it. Clean Sled, never had a problem, it was hauled in a enclosed trailer every trip!!! 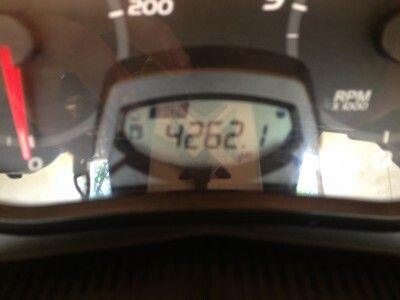 It has 4262.1 miles on it, and I had it serviced at a Skidoo dealer every spring before I put it up for the summer. I cleaned the sled every spring, engine, suspension, repainted suspension parts, and good wax job on the sled before I put it up. I had every accessory installed at the dealer, they add up to over $935.00.